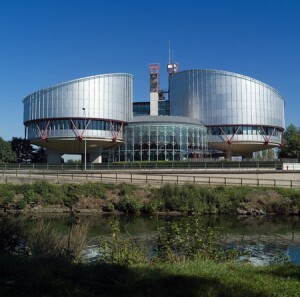 The European Court of Human Rights underwent something of a revolution yesterday with the long-delayed introduction of reforms to its rules. The changes will help the court clear its enormous backlog of cases, but also give it significant new powers to punish states which fail to implement its rulings. The UK may be one of the first on the receiving end of these new powers in relation to prisoner voting rights. The Strasbourg-based European Court, which interprets and applies the European Convention on Human Rights, celebrated its fiftieth birthday last year. But it has recently been showing its age, creaking under the weight of its backlog of cases, running to an astonishing 119,300 waiting to be heard in 2009. Change has been urgently needed for years, but the reforms have been delayed since 2004 due to the refusal of Russia, who have the largest number of cases pending against it in the court (28% of the total), to ratify it. It finally relented in January of this year. The new “Protocol 14” introduces changes in three areas. First, it reinforces of the Court’s ability to filter clearly inadmissible applications. This is comparable the English system, where judges regularly “strike out” cases which have poor chances of success. Third, it provides the court with measures for “dealing more efficiently with repetitive cases”. This is a polite way of saying that the court will have significant new powers to punish states that repeatedly fail to comply with its judgments. It can now initiate proceedings of non-compliance in the Grand Chamber of the Court, and these sanctions can, in theory, include suspension or expulsion from the Council of Europe. UK on the receiving end? The first flash point between the UK and the newly empowered court is likely to be its failure to implement the 2005 decision in Hirst v The UK (No.2). In Hirst, the court found that the UK had breached the human rights of prisoners by preventing them from voting, but the government has as yet refused to change the law leaving around 80,000 prisoners still unable to vote in the recent general election. It is probably no coincidence that the Council of Europe has chosen this week to resume its offensive against the UK’s refusal. Simply, the stakes are now much higher for non-compliance. Influential figures in the UK justice system have complained recently about the steadily increasing power of the European Court. One of the stated aims of the Human Rights Act 1998 was to “bring rights home”. This was supposed to mean that by incorporating the European Convention into domestic law, the domestic impact of judgments from Strasbourg, often made by judges with only a superficial understanding of British social issues, would be reduced. But now the judges’ power appears to be on the increase again. The Protocol 14 reforms have introduced essential and overdue powers to cut the court’s unmanageable backlog. However, the changes have also shifted the balance of power back towards the Strasbourg court. Whether and to what extent it chooses to use its new powers remains to be seen. Lord Hoffman, a former House of Lords judge, warned last year that the Strasbourg court had been “unable to resist the temptation to aggrandise its jurisdiction and to impose uniform rules on Member States.” That jurisdiction has just grown significantly.